It appears I’ve gone a little sticker designing crazy over here. 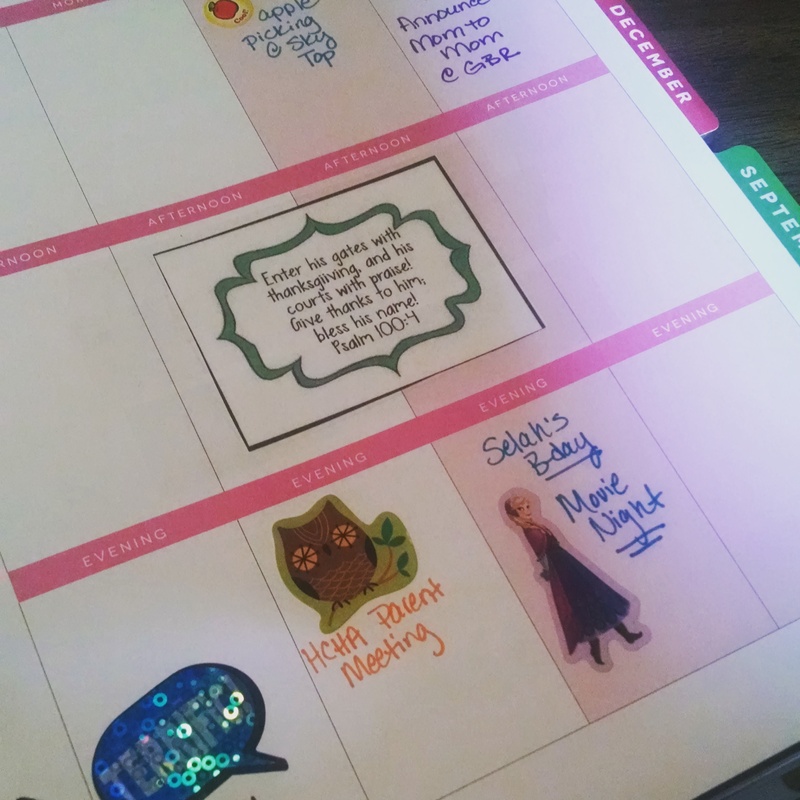 But really… can you have too many planner stickers??? Because I LOVE freebies and just can’t help myself, I’ve designed some Ombre style Meal planning stickers sized 1.5 inches by 6 inches. They fit quite nicely in the side bar of the weekly lay out in my Happy Planner. You can jot down your meal plan in the individual day boxes to have at a glance when you are planning your week! 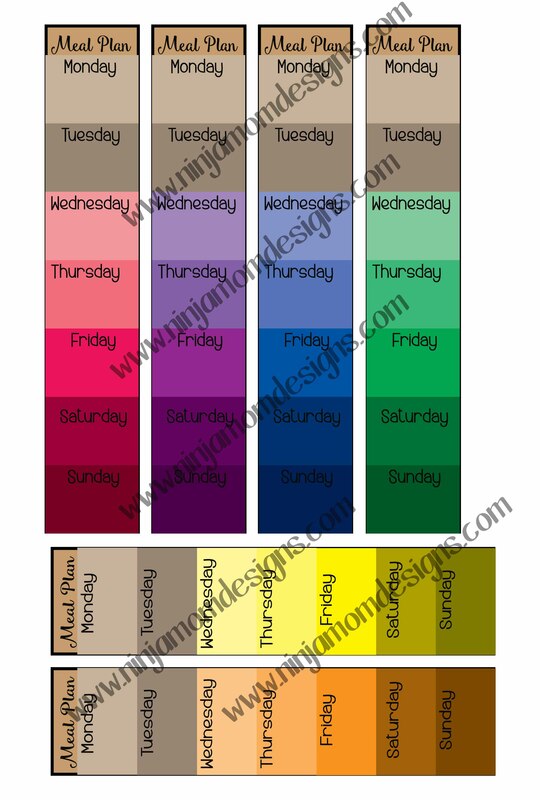 Colors vary and may come out differently depending on the type of sticker paper, paper, ink, and print you use. HOW DO YOU GET THIS FABULOUS FREEBIE???? Glad you asked. 1. Head over to Facebook and “Like” Ninja Mom Designs. 3. Click on the image and proceed to download the PDF of the stickers. THEN WHAT??? Glad you asked! 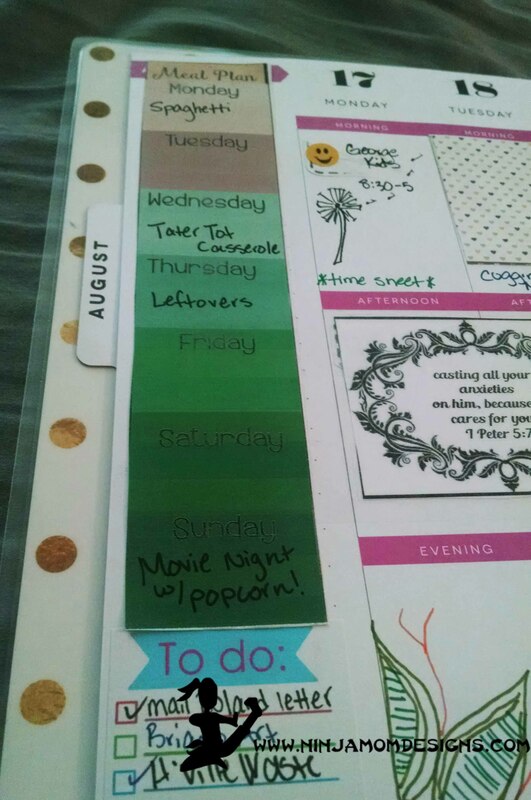 – Save to your computer so you will ALWAYS have meal planning stickers on hand. 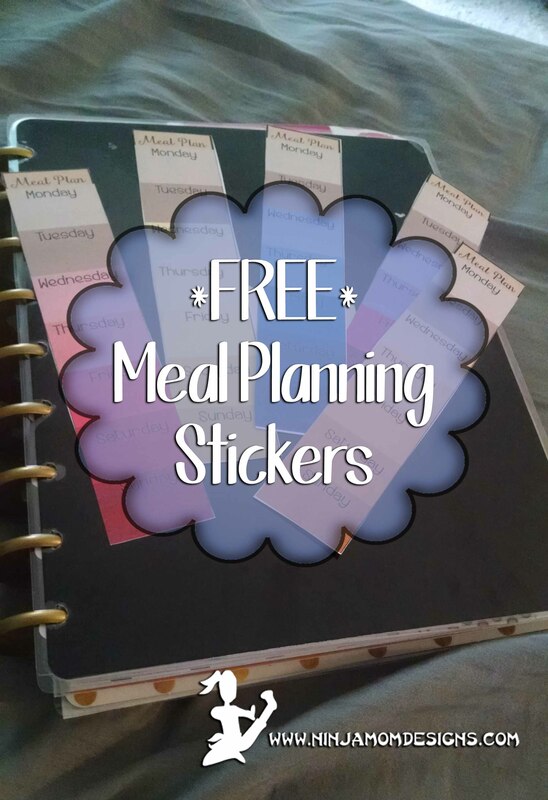 – cut out your stickers, add to your planner, and meal plan away! Easy Peasy… What are you waiting for… GO GET YOUR FREEBIE! 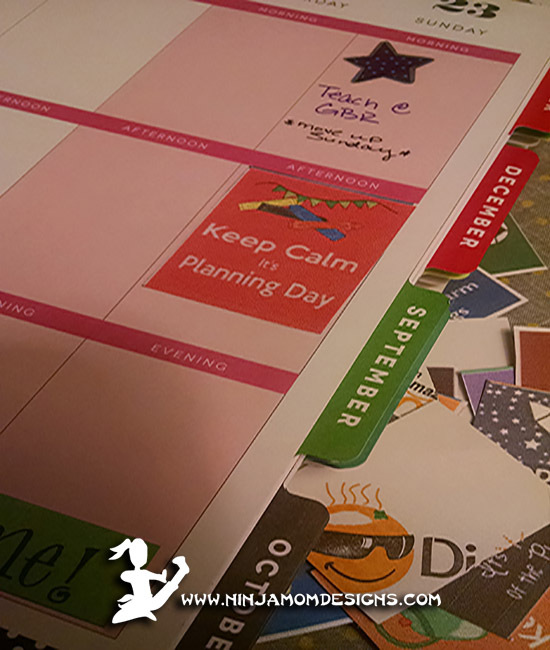 My sis in law sent me a me & my BIG ideas PLNR-03 Create 365 The Happy Planner ” My Life” 18 Month Planner . She battled between that one and the Life Planner from Erin Condren. She went with Erin so I got the Happy Planner. Just owning it makes me feel that much more organized. I didn’t realize decorating planners was such a HUGE thing! When I got the package from my sis in law, she included some sticker sheets for me to play with. SO… I started designing some stickers sized for the weekly layout boxes of my planner. Printing them was so easy peasy. The sticker sheets (similiar to Avery Sticker Project Paper, White, 8.5 x 11 Inches, Pack of 15 (03383) ) are 8.5″ by 11″ just like a standard sheet of paper. So I just loaded the sheet in the printer, printed, cut, and tada! Stickers!!!!! There you go! Making planner stickers is SUPER EASY. 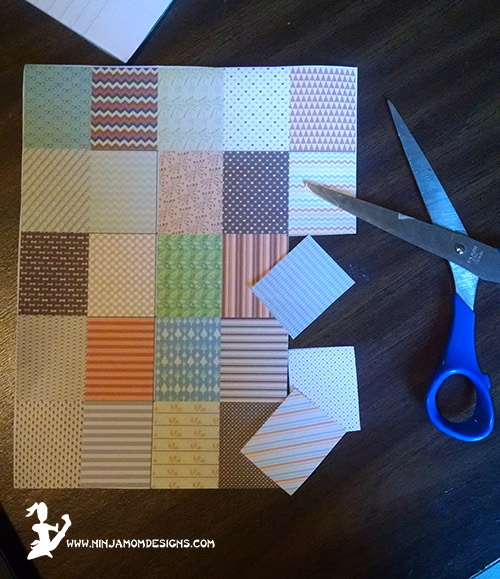 The ones pictured above are sized 1.5″ by 1.9″… they are perfect for the weekly layout in the Happy Planner or Erin Condren. I actually really like the size in the Happy Planner because it doesn’t take up the whole box… so you can still write if needed. You can even write ON THE STICKERS! 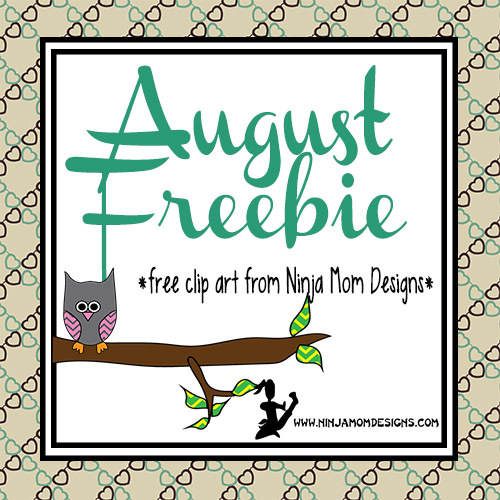 Check out all the fun CLIP ART from Ninja Mom Designs that you could use to make your own stickers. OR… Check out the already sized and designed stickers in the shop. It’s as simple as purchasing, downloading, and printing. AND… once you purchase, you can print as many as you like. Never run out of stickers!!!! One thing I love is FREEBIES!!! I want to offer my readers a special treat. Each month, I will offer a FREE set of Clip Art. Sometimes (like this month) it might be a set that is listed in my shops… that’s right… you would get a FREE set of paid Clip Art! Other months, there may be a completely exclusive.. .only found here set of Clip Art. I can promise you this: All Clip Art is high quality, with transparent background, in PNG format, and 300dpi. That may or may not mean something to you! Here’s a little preview of this month’s FREEBIE! Why do you have to fill out a form and where does your information go??? Good question. When you fill out the Subscribe form, you are simply letting me know that you like FREEBIES… your info does not go beyond me and will only ever be used to let you know of MORE FREEBIES!!!! Your FREE clip art comes in a compressed ZIP file. When you receive your link to download, simply double click to open the folder and you will see all of your individual images. What you do with it from there is up to you! 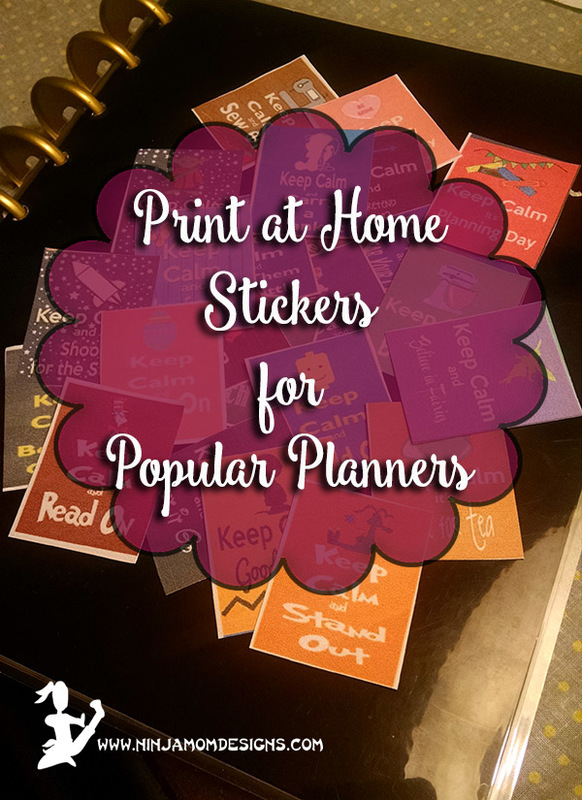 Create printables, cute graphics, cards, and more!!! Thanks for stopping by! I hope you enjoy the clip art! Be sure to check out what else is available from Ninja Mom Designs HERE and HERE. I love to hear from readers. Have feedback? Comment below and let me know! I am a homeschool mom of four kids. Much of what I design is inspired by my experiences in homeschooling. Last year, I implemented copywork into our regular homeschool schedule. We use copywork to learn spelling, sentence structure, grammar, listening skills, and handwriting. In particular, we use Bible verses for our copywork. You can use any well-written work. Each week, my kids get a new verse to work on. The idea is by the end of the week, the passage is memorized- wording, spelling, punctuation, and all. I’ve compiled our copywork selections from all of last school year. 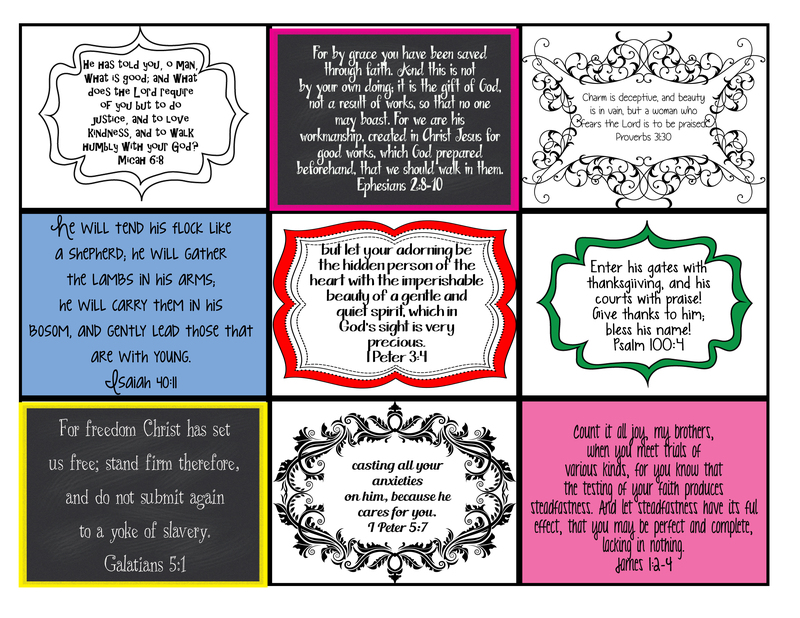 We focused on the fruit of the Spirit as laid out in Galatians 5 as well as other Biblical character traits. There are 12 character traits and 3 verses for each trait. That equals 36 weeks of copywork. This latest listing includes 129 pages of materials- verse posters, character trait posters, books of the Bible poster, writing practing sheets (in print and cursive), blank handwriting paper as well as tips on how to use it all. You can get a sample pack to preview for FREE here today! 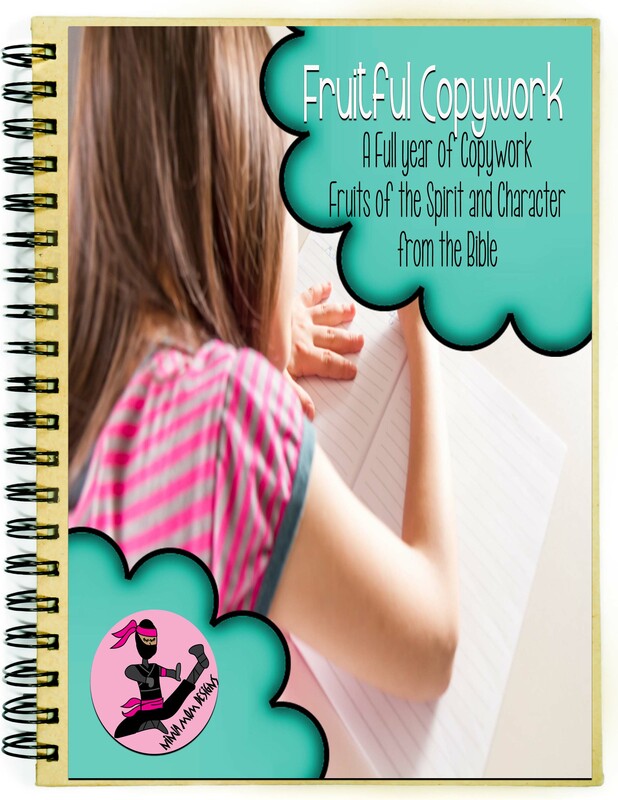 Head on over to Teachers Pay Teachers for the Full Fruitful Copywork Pack. 36 weeks of material for only $8!